Seriously? 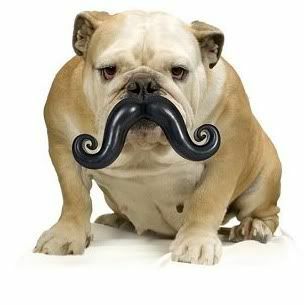 At first I thought the rear gear was rather silly, but look at this dog 'stache! Haha. Okay, so at least this is better in that it's actually a ball. 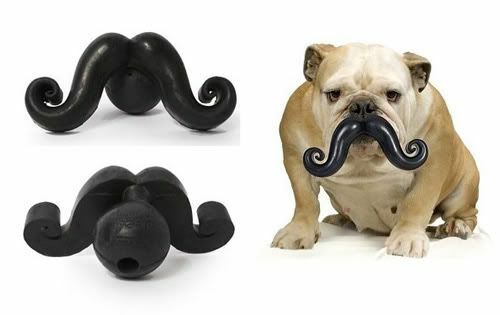 Although the dog in the picture doesn't look happy at all, the idea is that dogs naturally love to play with balls and when they pick this one up, you'll get an extra kick out of seeing him running around with a mustache. Hey now, it's a PG blog. You're not supposed to point that out!! Lol!